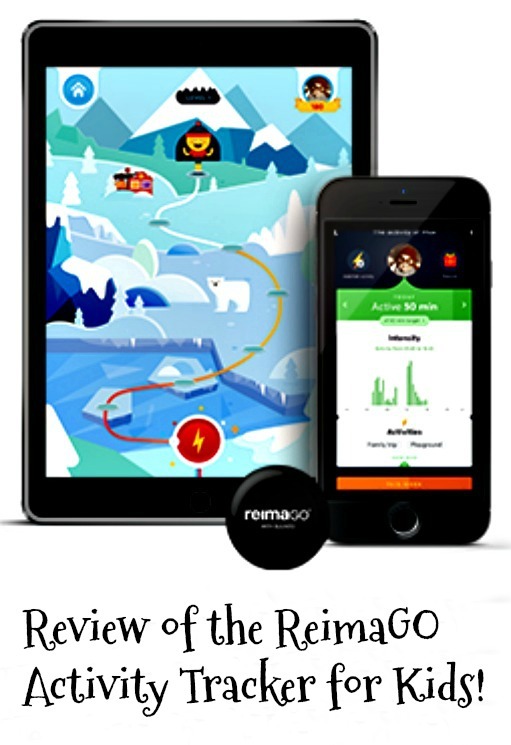 One of the most appealing aspects of the ReimaGO is that it is very easy to use and child-friendly. The sensor is just a bit bigger than a fifty pence piece, and can be carried in a pocket, where it will sit there cheerfully collecting data on the intensity and duration of your child's activity, for as long as it is carried. However, this is not the best bit. 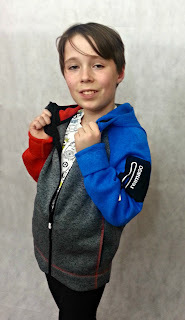 Several Reima products for children come with a laminated Movesense connector, so the sensor can be clipped directly onto the clothing and zipped up, keeping it safe and providing the ultimate in wearable tech. You don't have to worry about whether you have it positioned in the optimum place on the body, you just connect it to the pins on the sensor and that's it, it quietly collects the data without anyone even knowing it's there and it can't fall out or get lost. There are over a dozen different Reima products in the winter collection that include the Movesense connector, including fleece jackets and ski wear. L was absolutely thrilled with his fleece. He is quite particular about what he wears, but he reports that it is so warm and comfortable, and now wears it everywhere. 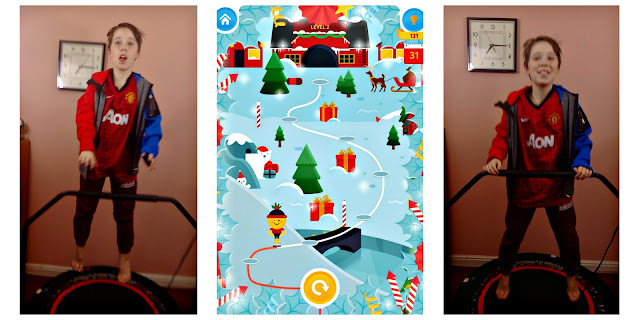 The app is very easy to set up, using an iphone or ipad, and allows the child to see their progress by way of a trail featuring a fun character, Goye, who can be moved along the trail, based on how much movement has been stored in the sensor when it's connected. Along the trail, you can set up little rewards for your child, which can either be praise, in the form of a picture, or a physical reward, like a treat or trip somewhere, which can also be represented by using a picture from the library of icons on the app, or you can use your own picture from your device. I have set up pictures along the trail and it's really fun to reach the different goals, but I think the fun is in tracking progress along the way, so I haven't felt it necessary to offer anything else in the way of reward. I want L to want to exercise because it's fun and makes him feel good, so I'm not keen to make it about getting something for it. He loves uploading his progress and seeing how far he can move the little character, it's really motivating in itself, anyway. It's certainly made a difference to our daily activity and it's something L is keen to continue with which can only be a good thing! Oh what a fantastic little app. It reminds me of the Pokemon Go for younger children which is ace as even my eldest enjoyed that, I'm sure he'd love this. This sounds awesome! Anything to encourage my boy to go outside, haha. He's all for parks but not so much with the walking etc. I bet he'd really love this, thanks! Love the fact that it encourages children to exercise. Wish I had one when my son was small! Sounds easy to use too! I absolutely LOVE this whole concept, great style, brilliant idea AND just fantastic to teach self motivation! What an incredible product!! Fab review thank you for telling us about this!! This looks like a lot of fun. I try to get outside as much as possible with my two but tech like this is great for rainy days and there's a lot education value too!